The nation's biomedical and health informatics experts are calling for a more thorough evaluation of grant applicants' data plans, according to the American Medical Informatics Association. In a Dec. 10 letter to Carrie Wolinetz, associate director for science policy at the National Institutes of Health, Office of Science Policy, AMIA said it "enthusiastically" supports the expansive update to a 2003 NIH data sharing policy. New research funded above $500,000 per year and subject to the existing data sharing policy would have to comply with the final NIH data sharing plan within one year of its adoption; research funded above $250,000 per year would have to comply with the provisions of the DMSP within 2 years of its adoption. All grants funded below $250,000 per year would have to comply with the DMSP within 3 years of adoption. The 2003 NIH data sharing policy requires that grantees receiving more than half a million dollars annually develop a data sharing plan. However, these plans are not factored into the overall score of the grant application, something AMIA would like to see changed. NIH issued a request for information on the policy last October, in which AMIA recommended data sharing plans be made part of a grantees' application qualifications. In addition, AMIA also recommended that the NIH provide grant applicants with incentives for storing their data in NIH-endorsed databases. AMIA said a new DMSP should help to improve institutional support and professional advancement for experts managing and sharing scientific data. Times are changing, and many of the pre-digital age laws are being called out for updates. AMIA, along with the American Health Information Management Association recently called on Congress to update HIPAA, the privacy act enacted in 1996. In a joint appearance on Capitol Hill, the two groups said that an update would unlock data for patient empowerment. Likewise, in the new era of big data, the laws and grantmaking policies of NIH need to reflect the goals of increasing data sharing, AMIA said in its letter. "The draft DMSP should improve data management and sharing of scientific data to facilitate learning health systems and continuous discovery." In a contributed article to Healthcare IT News, Corinne Smith, a healthcare attorney with Clark Hill Strasburger, says HIPAA and data sharing have plenty of room for an update. "Data management and sharing are vital to continuous discovery and learning," said Dr. Douglas Fridsma, AMIA president and CEO. 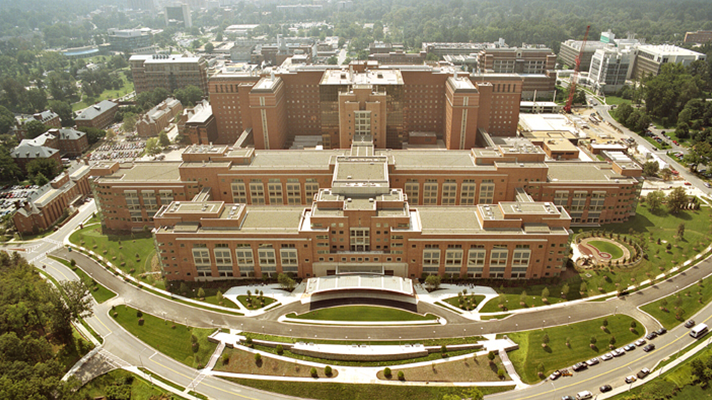 "Setting expectations for how NIH-supported research should be managed and shared, using the long-established peer-review process to ensure best practice, will greatly improve the downstream utility of our national investment in NIH research."